meeting the three ordinary ghosts. Later I was asked many questions: how did I know they were ghosts? I’d known? Which might have made events easier understand. and take a photo… Ask for email ,twitter, even facebook links. it wasn’t like I was scared, either . as I walked near Ormston house . Was that so weird from me ? What else should I have done or said anyway .. 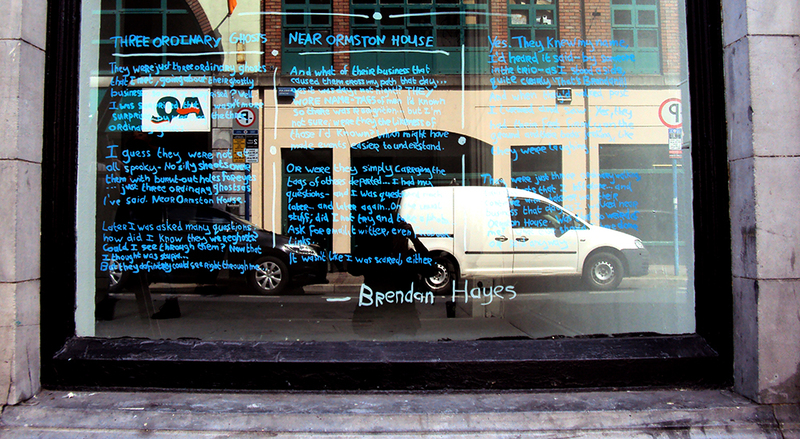 This entry was posted in Uncategorized and tagged Art, Brendan Hayes, Chalk, Limerick, Ormston House, poetry, Prequel Programme, social, street line critics, writing. Bookmark the permalink.